Lithuanian President says that the European Union "does not recognize settlements as part of Israel." A European country on Monday once again blamed “Israeli settlement building” for impeding the peace process with the Palestinian Authority, reports AFP. This time it was Lithuania, the rotating president of the European Union, that called on Israel to stop building Jewish communities in Judea and Samaria. The statement followed talks between Lithuanian President Dalia Grybauskaite and visiting PA Chairman Mahmoud Abbas. Grybauskaite called on Israel "to end the expansion of settlements in the occupied territories," according to AFP. She then insisted that that "the European Union does not recognize settlements as part of Israel." Grybauskaite said the Middle East peace process was a "historic opportunity" which "must continue." "The European Union strongly supports a peaceful two-state solution, which would enable Israel and Palestine to live side-by-side in peace and security," she said, according to AFP. Abbas is currently on a tour of European countries and, according to a report on Sunday in the Maariv daily newspaper, is trying to secure European support for a plan to get “Palestine” accepted to United Nations institutions. Abbas denied on Sunday the reports in Maariv and said that peace negotiations with Israel have not reached a deadlock. He would not give details about the negotiations, but said that each side had discussed proposals offered by the other. "The fact is that we're still at the beginning. We still have time to negotiate the issues," Abbas told German network Deutsche Welle. On Friday, in a press conference with German Chancellor Angela Merkel, Abbas slammed Israeli construction in Judea and Samaria. Terming the Jewish communities in these regions "illegal", Abbas said Israeli construction had "in fact, increased enormously." "We ask the Israeli government to stop this activity," he told reporters. Merkel, too, urged Israel to show "restraint" in the building of Jewish communities in Judea and Samaria. 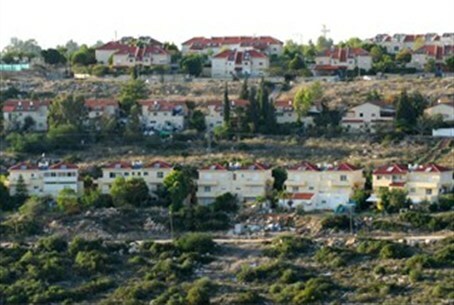 "We call on Israel to show restraint in the matter of settlement building," she said. Israel and the PA resumed peace talks this past summer, following pressure by U.S. Secretary of State John Kerry, who travelled to the region several times in an attempt to get the sides talking. Abbas, who has for years demanded a state based on the borders that existed before the 1967 Six Day War, recently stated that unless Israel meets all of his preconditions, there will be no peace. Those preconditions include a Palestinian state whose capital is Jerusalem and a release of all PA Arab terrorists from Israeli jails. Meanwhile, Abbas has continued to incite to terror and hatred of Israel, by honoring and glorifying terrorists who killed dozens of Israelis. Europe has condemned Israel for construction in Judea and Samaria and recently published new guidelines which boycott Israeli entities operating beyond the 1949 Armistice Lines. It has not, however, condemned Abbas for his continuous incitement.